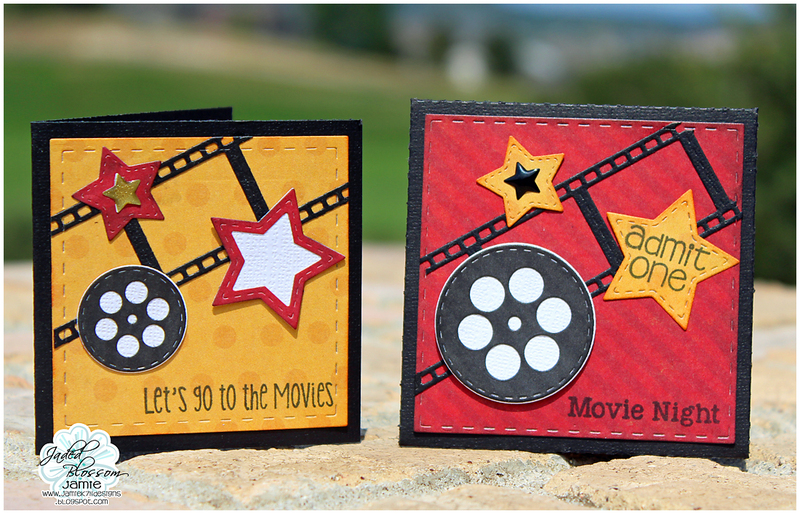 Jamie here to share a project using the Spotlight set this month Lights, Camera, Action! I created a card and envelope set with the spotlight. 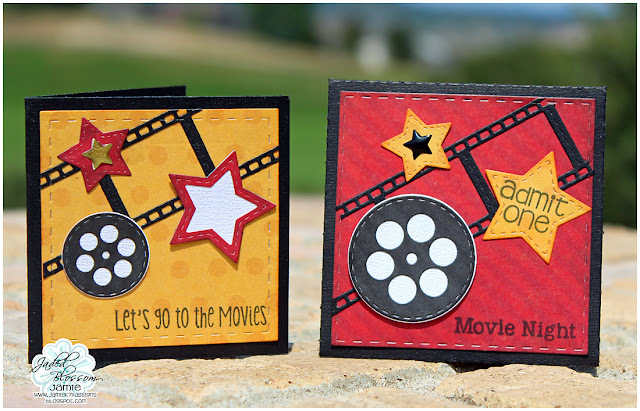 I added Film and Star Dies to both and I also used some Stitched Circle Dies behind the Film Reels. I used the Card Mat Dies for the 3x3 card mat and the Stitched Square Dies for the envelope mat. And of course the envelope was created with the Envelope Die. Super duper cute! I could so see that as a wonderful gift card holder... thank you for sharing!! Jamie, these are darling! Perfect for an invite to a movie night!